The SAGITTARII module enables less invasive drilling and minimal exposure of patient and medical staff to X-rays during long screw placement procedure. 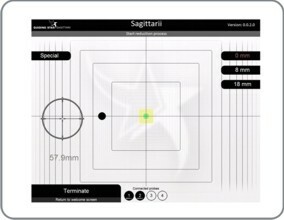 The Guiding Star navigation platform with the SAGITTARRI module enables the surgeons to perform Sacral Screw fixation procedure. Using the SAGITTARII module the amount of radiation exposure is reduced to minimum. During the surgery navigation helps the surgeon to have a control over the drilling direction since the tracking technology provides continuous monitoring of the drilling position.